So, you went ahead and blew your diet. Your coworker brought in a homemade chocolate cake this morning, and you decided to have just one piece and then could not resist seconds. So when you attend a birthday party later this afternoon, you might as well have that third piece of pizza, right? After all, your diet is already wrecked, isn’t it? WRONG! Diets, which are very much like budgets, are tough to stick to; we all make mistakes, we all fall off the wagon, so to speak. The key is that we need to learn to pick ourselves up, dust ourselves off and start all over again. Reassess your spending plan. Did you spend a fortune eating out and then going to a club or a movie? Is it because your budget is too strict and you haven’t factored in some spending on entertainment? Or did you go on a spending spree at the outlet mall and then suffer for it because you never accounted for having to replace worn-out clothing? 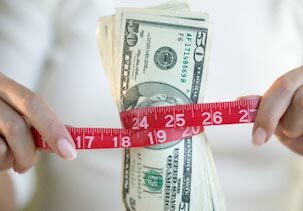 As I mentioned before, there are a lot of similarities between diets and budgets. If you make too strict of a spending plan for yourself, you won’t be able to stick to it. You have to be realistic. Make changes. Once you have assessed your spending plan, it’s time to make necessary changes. Perhaps in your original budget, you did not account for a particular spending category. Well, then, now is the time to do that, provided you are able to stick within your means. Take a deep breath. We all occasionally do silly things with our money. The key is not to let a single bad behavior paralyze you and prevent you from moving on. With a little bit of effort, you CAN get back on track.